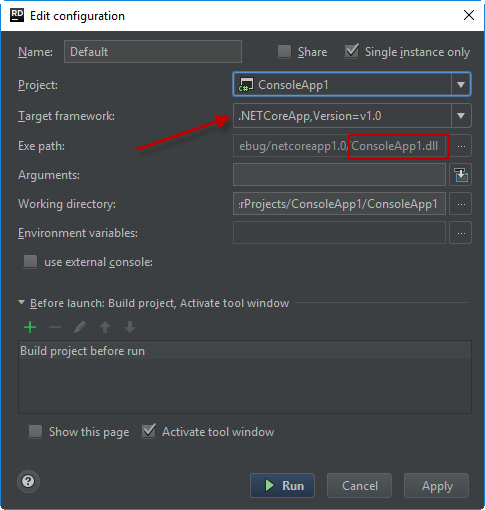 In this post, we’re going to look at how you can use JetBrains Rider with a .NET Core Console application. 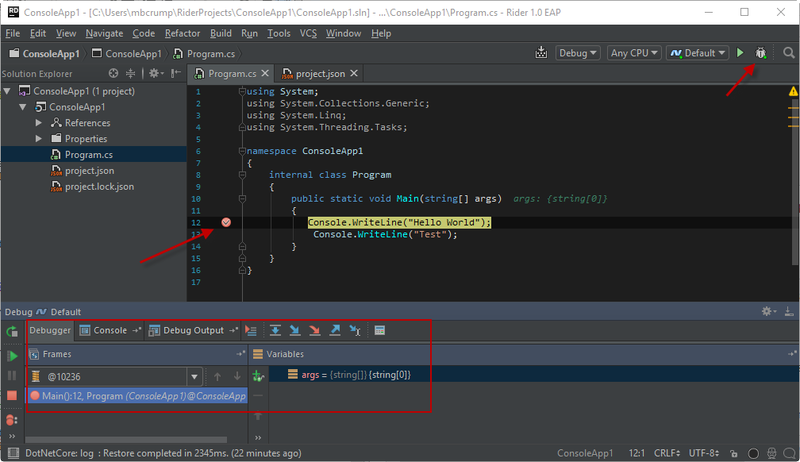 JetBrains Rider is a cross-platform .NET IDE based on IntelliJ and ReSharper. 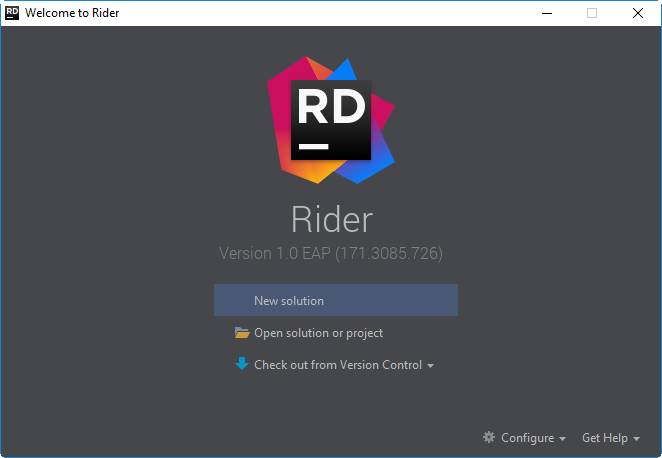 If you’ve used WebStorm or customized Visual Studio before then you’ll feel right at home while installing Rider. 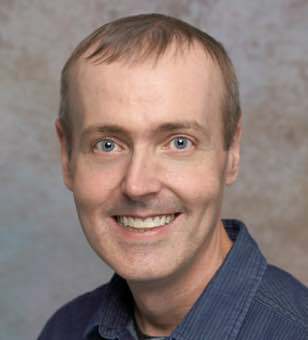 Everything from the themes, keyboard maps and extensions feel right at home for .NET developers. 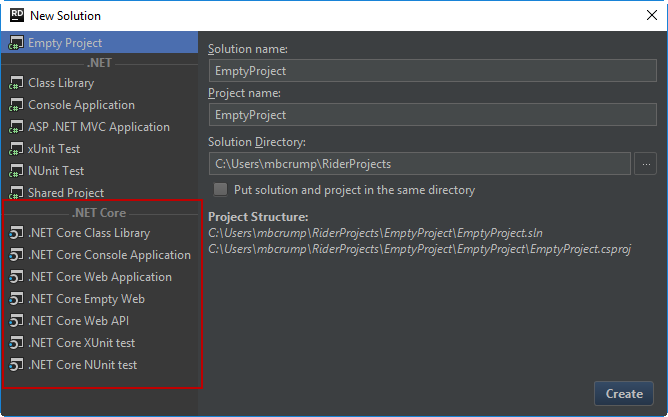 I chose to take a look at Rider as I wanted to take a look at an alternative IDE that isn’t Visual Studio that helps you write .NET Core applications. Don’t confuse this with Visual Studio Code which we took a look at in the last post as it’s an editor. Keep in mind that Rider is an early access preview and anything is subject to change. Nice! The .NET Core templates come free without doing anything! 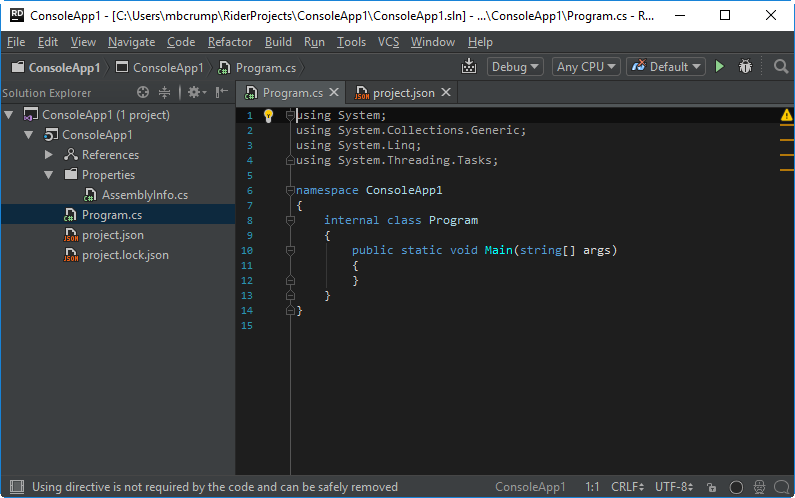 As you can see Rider contains a few extra using statements, has a different namespace, marks the Program class as internal and does not have the “Hello World” stub. Notice that it’s using .NET Core as the framework as discussed in previous blog post and that the output is a .DLL. No surprise here. It called dotnet and passed in the .dll that it had created. We don’t have an output as there is no code. Tip: If you ever want to know what SDK Rider is using, you could always open a command prompt and navigate to Program Files and run dotnet --info. I found this helpful as I have multiple SDKs installed. I’m really enjoying Rider so far and it should get a lot better as the final release is around the corner. As always, thanks for reading and smash one of those share buttons to give this post some love if you found it helpful. Also, feel free to leave a comment below or follow me on twitter for daily links and tips.